Looking for professional hospitality staff for your restaurant, pub or hotel? Find out how Platinum Recruitment can help find your ideal candidate. Platinum Recruitment is a leading catering and hospitality recruitment specialist. Our teams include dedicated divisions, experienced in supplying professional hospitality candidates in Portsmouth, Winchester and Southampton. All our top hospitality recruiters have first-hand experience in the industry. This level of in-depth insight and expertise helps us provide high quality candidates for some of the most prestigious restaurants and hotels in the UK. Whether you are looking to fill waitress jobs or executive head chef jobs, we have the ability to find an ideal fit to match the needs of your business. Platinum Recruitment are partners with a broad selection of clients from pubs and restaurants including Michelin star establishments though to event caterers and large stadia. We are dedicated to sourcing high-quality candidates for all hospitality service areas, including hotel receptionist jobs and managerial positions. 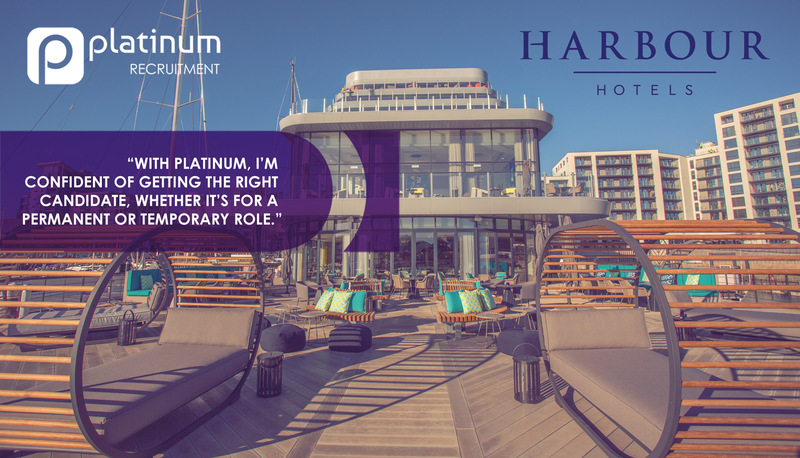 Platinum Recruitment offers hotel recruitment for many varieties of clients, from independent boutiques to large multi-national hotel chains. Our tailored services ensure all candidates fit your company’s requirements. What our Hospitality Clients in Portsmouth say about us…….